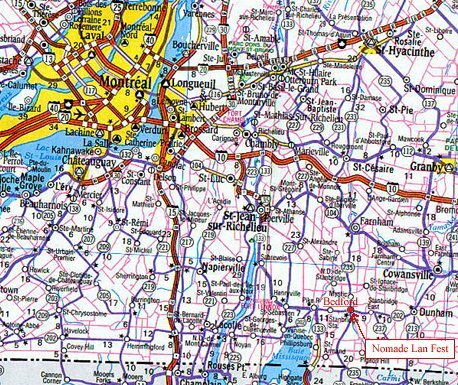 The estimated time it takes to reach Bedford from the Island of Montreal is 50 minutes after crossing the Champlain Bridge (Lagg factor of Bridge may vary). The best way to get here is to take Highway 10 to the St-Jean sur Richelieu exit. Head towards St-Jean and keep on Highway 35 till it comes to its end. At the lights turn left towards St-Alexandre and stay on this road till you reach the 235 (there will be a flashing light at the intersection). Turn Right onto the 235 and you will be in Bedford in about 5 minutes.